Be wary of emails claiming to be from Facebook, and saying that you have been tagged in a photograph. Because it might be that you’re the next potential victim of a malware attack. SophosLabs has intercepted a spammed-out email campaign, designed to infect recipients’ computers with malware. 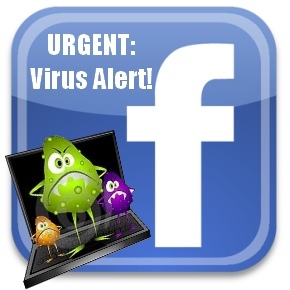 If you click on the link in the email, you are not taken immediately to the real Facebook website. Instead, your browser is taken to a website hosting some malicious iFrame script (which takes advantage of the Blackhole exploit kit, and puts your computer at risk of infection by malware). To act as a smokescreen, however, within four seconds your browser is taken via a META redirect to the Facebook page of a presumably entirely innocent individual. SophosLabs is adding detection of the malware as Troj/JSRedir-HW. You would have been protected from this threat if you had kept your wits about you, and always be sure to have updated security software and web applications. Even if you didn’t notice that “Faceboook” had been spelled incorrectly, you could have recognized it by hovering your mouse over the link that it wasn’t going to take you directly to the genuine Facebook website. wnloading something or visit a dangerous website. SophosLabs says it is still investigating this attack on Facebook users, and we will publish any further information here in due course.